I went out to the backyard, it was cloudy, today. I thought I’d send the usual Starlings flying away. Perhaps a Robin, and a Sparrow or two…. But the birds that I saw…were something new. 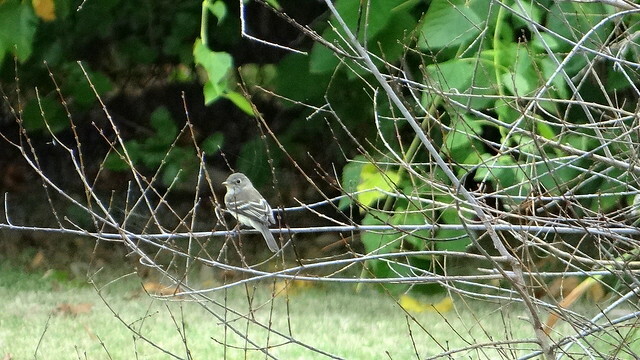 Smaller than a Sparrow in size, With white rings around their eyes. The behaviour was definitely like a Flycatcher; Their presence delighted this surprised bird watcher. They then turned their backs, and one of the things I could do was, see the markings upon their wings. Though they were new in the backyard, they were not rare; Yet I clicked them so that this experience I could share. 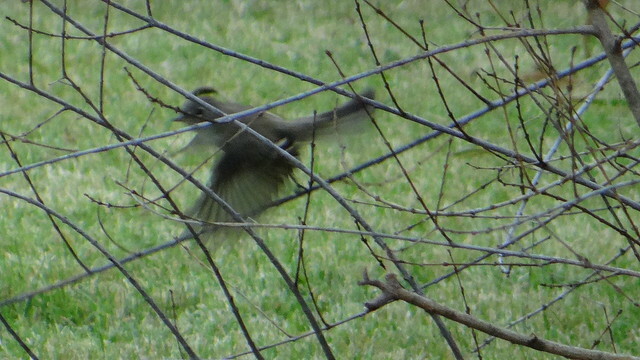 In a matter of minutes, away they flew; I too turned indoors, I had the day’s work to do. 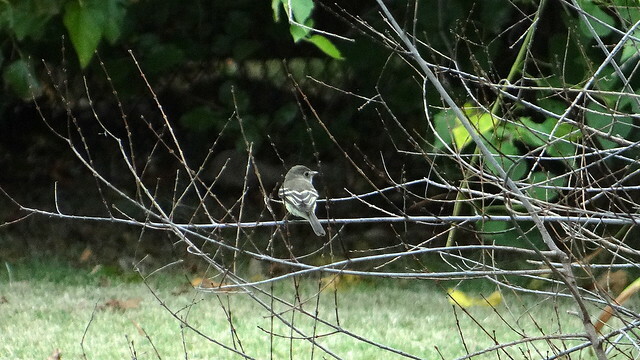 Throughout the day, the joy stayed with me… But..it wasn’t the Eastern Wood Peewee! 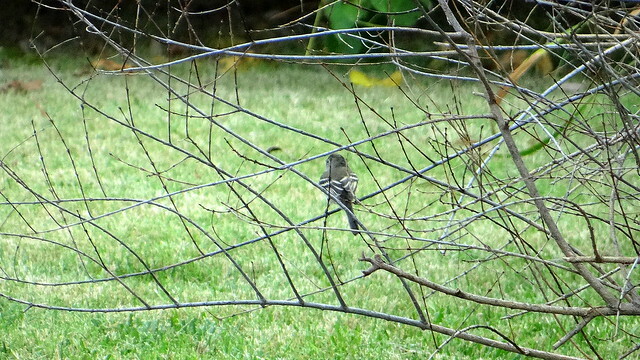 The bird id was probably Flycatcher, Least .. Come to enjoy our garden’s feast. 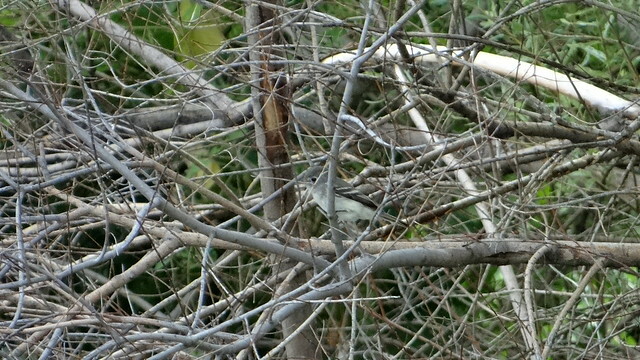 Definitely an Empidonax… Which one, I don’t know… so please, donax! I’ve documented and shared it, and done my duty; Click on the bird’s name for more about the little beauty!